A new casual dining duck restaurant was born on 12 January 2019. Duckland is TungLok Group’s latest dining concept. 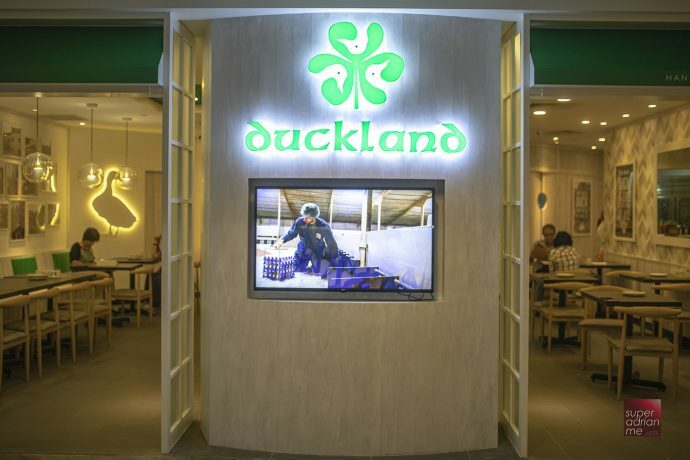 Located at basement one of United Square Shopping Mall, Duckland serves roast duck and other duck dishes using Irish Duck from the Silver Hill Farm in Ireland. The exclusive breed of Silver Hill Ducks are succulent, tender and full of flavour. It is also served in 98% of London’s Chinese restaurants, which is why they are called London Duck. TungLok Group uses some 5,000 Silver Hill Ducks and has its own private barn at the farm where the ducks get access to feed, drinking water and adequate space to roam around the barn at all times. These ducks are put on a unique, wholesome diet of wheat, maize and soya from young. The clear, natural and pure water that they drink is direct from the farm’s spring well. The compound is also a 5km-radius farm size to prevent any outbreak of diseases. The barns are housed in a specially built large housing with a temperature-controlled environment to replicate the ducks’ natural habitat. 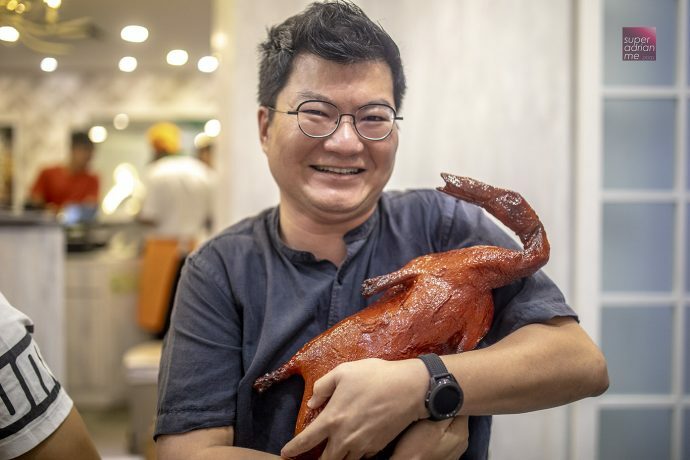 Duckland’s signature is the Roast Irish Duck which is priced at S$50 for the whole duck or S$28 for half a duck. 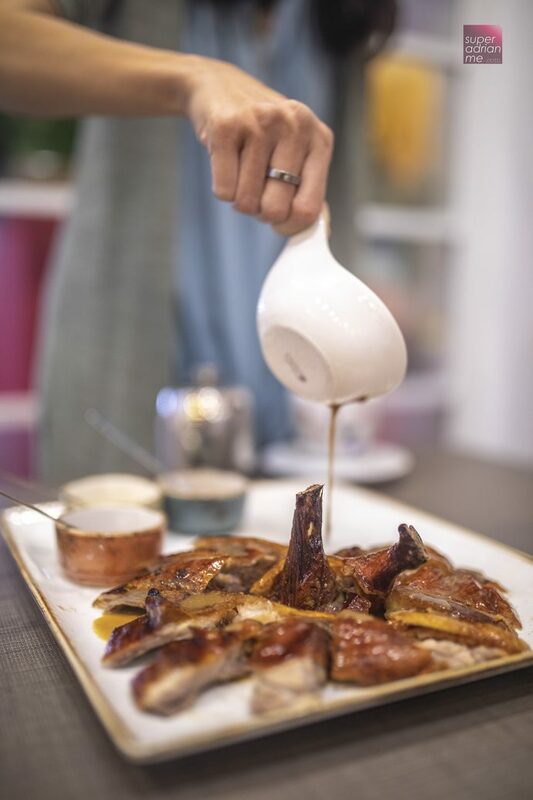 The crispy skin and flavourful duck meat goes well with dipping sauces such as the yellow mustard, raspberry sauce, calamansi sauce and a tasty brown duck sauce. 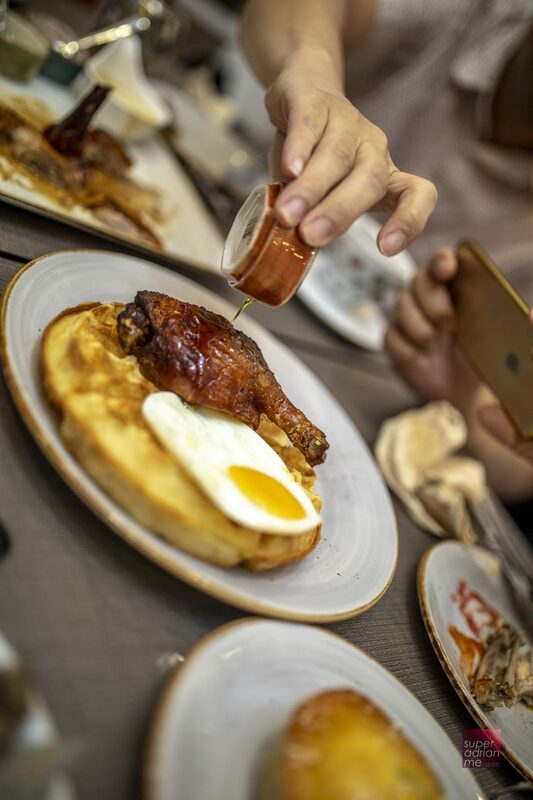 The S$20 Duck Confit with Waffle features a hearty whole duck and golden-brown waffle topped with a sunny side up. The duck is tender on the inside and crispy on the outside. I love how maple syrup is a perfect marriage with duck and waffles. Had to ask for a top up of more maple. 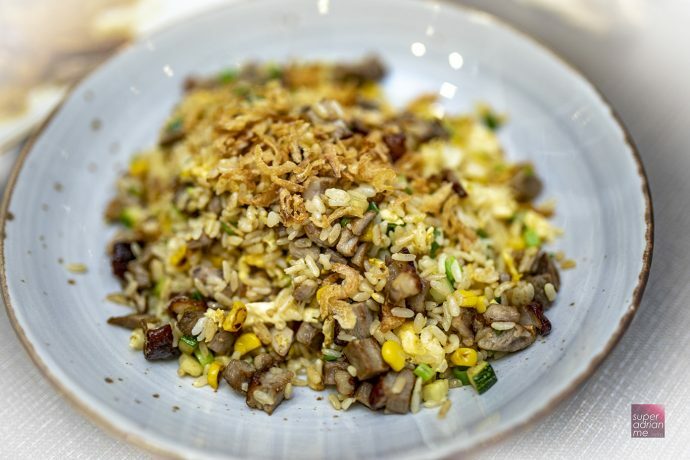 The S$10 Duck Fried Rice is a dish of robust flavours because of its ingredients of Irish roast duck, sweet corn, zucchini and garlic. 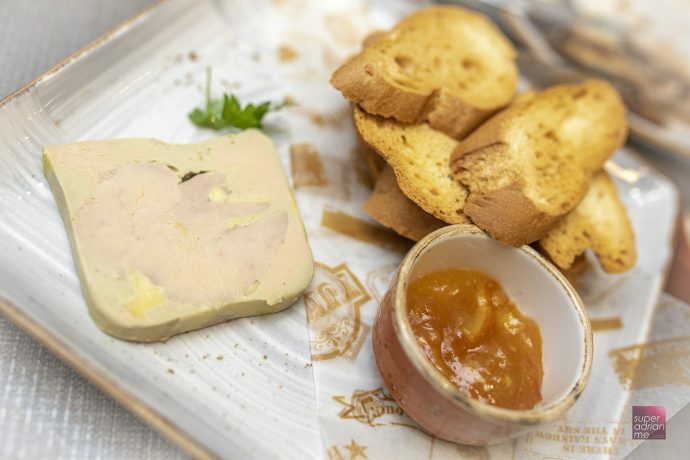 The S$15 Duck Liver Terrine is a cold pressed Foie de Canard, with rum-infused marmalade and very crisp bread. If you are in the mood for something light, there are two Duck pies you can choose from. 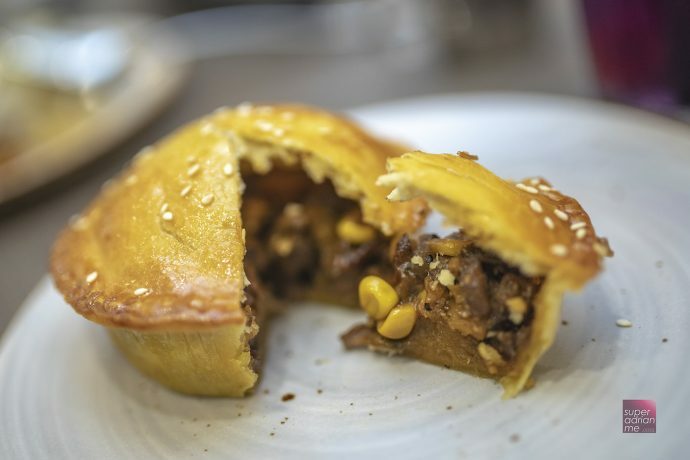 The Black Pepper Duck Pie is made with a crisp baked puff pastry and filled with succulent duck meat and black pepper seasoned onions. The other pie is a Tomato-Pineapple Duck Pie. Crisp baked puff pastry is filled with duck meat, tomato and tangy pineapple. Both pies are priced at S$6 each. 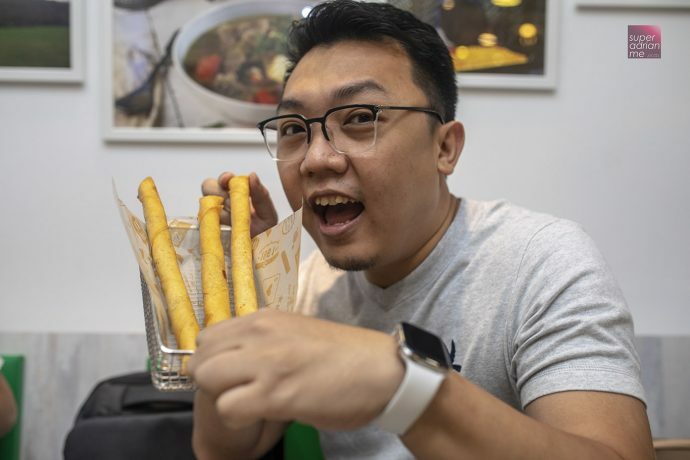 The Long Long Long Spicy Spring Rolls are shaped like oversized cigars. Inside the crispy roll are minced duck meat, mozzarella, onion, and pickle with some Sichuan Spice. 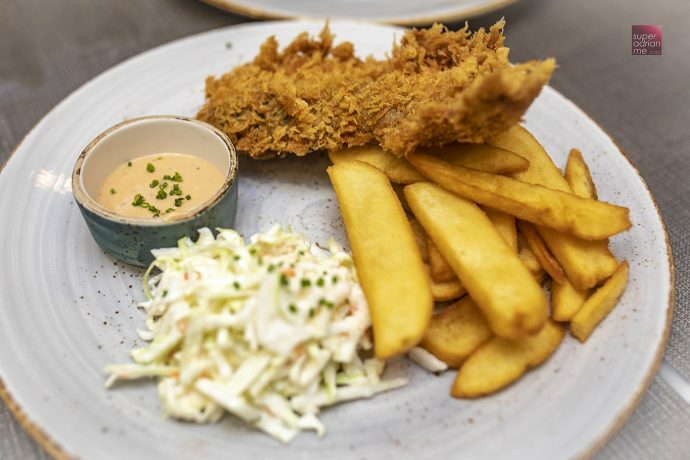 This dish is priced at S$8 for three pieces. There are other items in the menu besides Duck dishes. The Irish Lamb Stew (S$22) features lamb cubes, potato, carrot, celery, whole garlic, white peppercorn, herbs and spices. 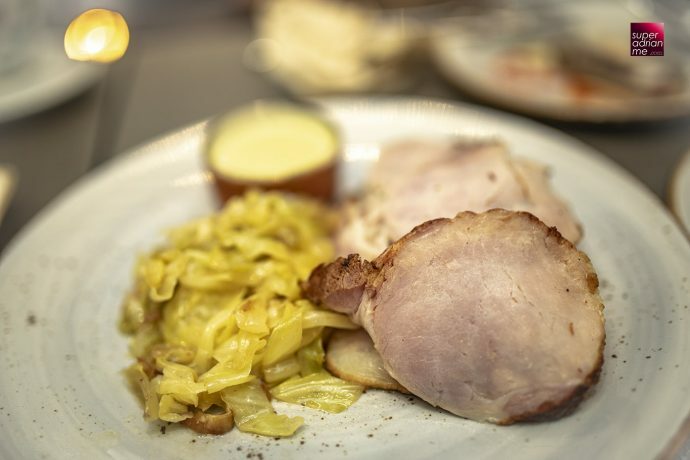 The Bacon, Cabbage and Colcannon (S$20) is a serving of old-fashion bacon slices with cabbage and traditional Irish recipe of mashed potatoes with kale. 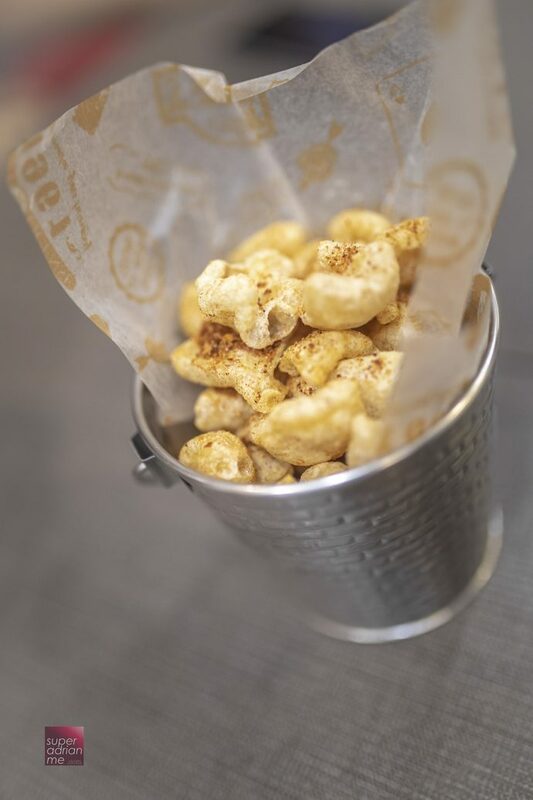 And if you absolutely adore pork lard, then order the ‘Mala’ Pork Crackling (S$8) that is cooked with Sichuan peppercorn powder and duck fat.